Starting a Mexican food franchise is a great way to break into the restaurant industry with a menu that’s more popular than ever. Americans love Mexican food, and Baja Fresh has spent decades steadily becoming a favorite in the industry. Starting any new business can be nerve-wracking, but it doesn’t have to be! Baja Fresh provides franchisees with support and guidance before and after they open their doors so they can grow their business with confidence. Here’s a sneak peek at a few of the tips we give our franchisees to help them along the way. In today’s landscape, there are a number of Mexican food franchises to choose from. There are even more independently- or corporate-owned brands to compete with. Offering your customers something unique is the best way to ensure you stand out from the competition. Ever since we opened our doors in 1990, we’ve put quality and freshness first. In an age where Mexican food is synonymous with greasy, processed, and frozen food, Baja Fresh has been serving up fresh salsa prepared daily, line-caught fish, and made-to-order entrees. Our restaurants don’t even have microwaves or freezers! Nowadays, customers value the kind of wholesome food we’ve built our brand on, making Baja Fresh a standout in the industry. If you’re thinking of starting a restaurant, franchising is a great option. Franchising allows you to implement a time-tested business model, so you don’t have to invest inestimable time and money figuring things out from scratch. However, not all franchisors are created equal. Be sure to find a franchisor that offers comprehensive training and support and works to help its franchisees as they get their new business up and running. In each of these respects, Baja Fresh fits the bill. Not only have we developed a support program that’s designed to help new franchisees hit the ground running, we’re part of the larger Kahala Brands company. As a member of the Kahala Brands family, Baja Fresh franchisees have access to numerous resources (like industry experts, in-house marketing, operations, training and cutting-edge data analytics) that many of our competitors don’t. The location you choose for your new restaurant can potentially make or break your investment. It’s important to choose a location that meets the logistical demands of your Mexican food franchise while also catching the attention of local customers. Furthermore, the terms of the lease agreement you sign onto will impact your business for years to come. With factors like these to consider, many entrepreneurs find the process of location scouting to be intimidating. Baja Fresh partners with third-party real estate experts around the country. Our franchisees have access to key demographic data that will help ensure they open up shop in the right area, and our real estate partners will help them find a space with agreeable terms. 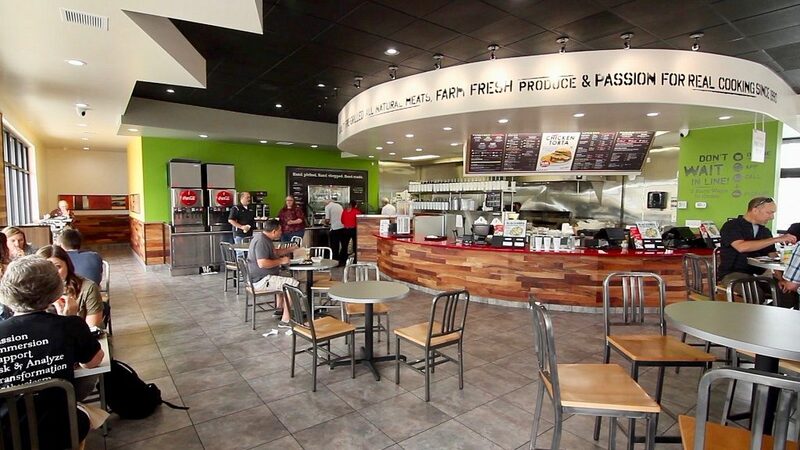 Partnering with Baja Fresh is a great way to choose your new location with confidence! These are just a few of the tips we give our investors as they work to grow their Mexican food franchises. Check out our website today to learn more about the Baja Fresh franchise opportunity!